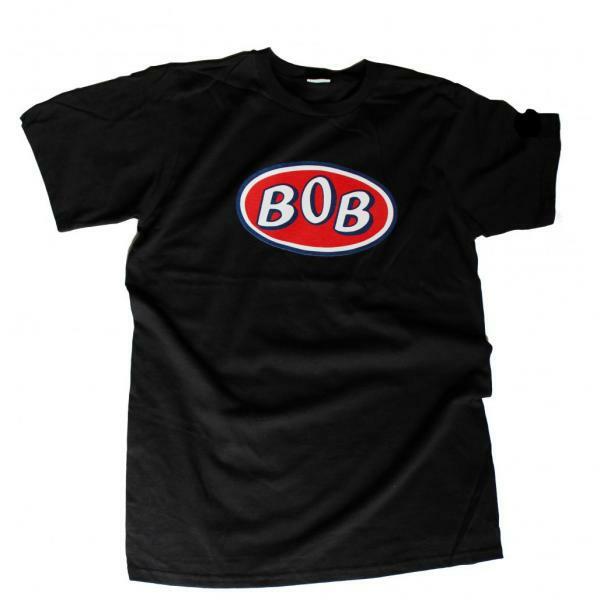 The classic BOB t-shirt but this time it's in black! If you missed out on the white version of the shirt, released to celebrate the re-issue of Leave The Straight Life Behind after 24 years now's your chance to get your new BOB t-shirt. This black, crew neck t-shirt is 100% comfort soft combed, 150gsm, OE-certified organic cotton.